If you have any questions or want to enquire about dates, use our form to contact Claire Ashworth or see their website for more information. Delightfully, typically French. Having begun life as a hunting lodge before being upgraded to house a wine producer, this handsome manor is perfect now for families who relish the vieille France feel: magnificent curved stone stairway with iron bannister, fine old tiles and beams. Light pours in to high-ceilinged, uncluttered rooms – downstairs doors removed for an easy flow to the space. There’s a simple, practical kitchen, a long-tabled dining room, a piano, a friendly old rocking horse, beanbags, books, games, colourful modern light fittings. Things are family comfortable rather than overly smart. Tall-windowed, colour-washed bedrooms with garden views, share two large shower rooms and two separate loos. 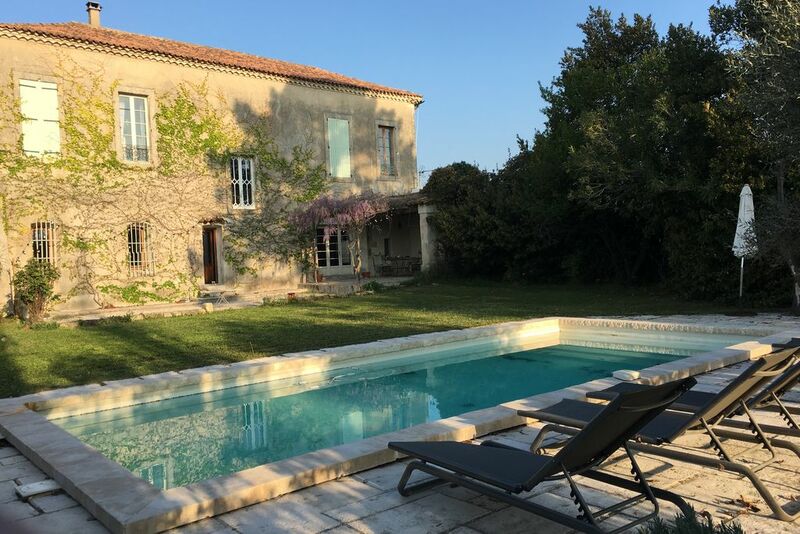 And there’s masses of space in the gated, walled garden too – where oleander, wisteria and lavender bloom – with its private pool, boules, barbecue, covered veranda, pointing cypress and poplar trees, and tree house! This is a great food and wine area – Uzès’ buzzing Saturday market’s a must. Do visit Roman Nimes; perhaps see bulls run in local towns, or visit them in the Camargue, a 40 minute drive away. Special offer: Some availability for June, July and September. Just get in touch! Very well-behaved dogs accepted. 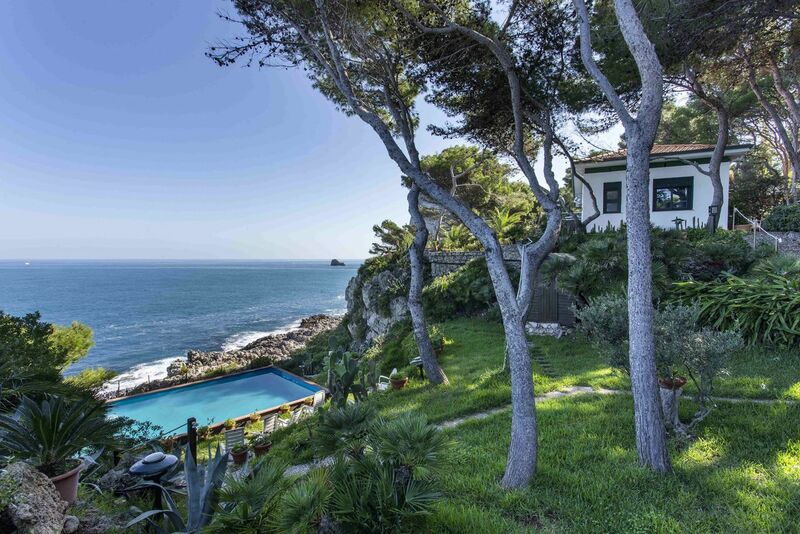 Mas de Mahystre is a beautiful and magical house with plenty of space for all ages. It has a traditional feel with all the mod cons you could ask for. The terrace and outside eating area is wonderful and the pool and tree house a hit with adults and children! Claire, the owner is also a joy to deal with and is incredibly helpful! Enjoy your holiday! The lovely market town of Calvisson is a 5 minute drive away. On Sunday mornings the popular, bustling, authentic market animates the main square and surrounding streets. A real gem of a market with delicious local produce. The Roman city of Nimes is a beautiful 25 minute drive over the hills. The pedestrian old town is utterly charming and once you've marveled at the Roman Arena and other Roman remains, there are hundreds of delightful cafes in the squares and streets. The vibrant university town of Montpellier is a mere 40 minute drive away. It is an enticing melange of old and modern architecture and the old town is bursting with creativity. Great for shopping, wandering, dreaming and people watching. The mediterranean sea is only 35 minutes by car. We love the beaches in between La Grande Motte and Palavas. There are so many fantastic beach bars and restaurants to choose from or you can just pitch up on the soft sand with your umbrella and towel. Fabulous cycling and walking surrounds the house. No need to jump in the car, just head towards the vines! If you want hills, head towards the Cevennes mountains north of our house for some beautiful villages, river swimming and canoeing. The medieval town of Usez, the Haribo sweet museum and the Roman Pont du Gard are all very close to each other and what a perfect combination for a wonderful family day out. Something for everyone within a 45 minute drive.